Why stare at the Sun? 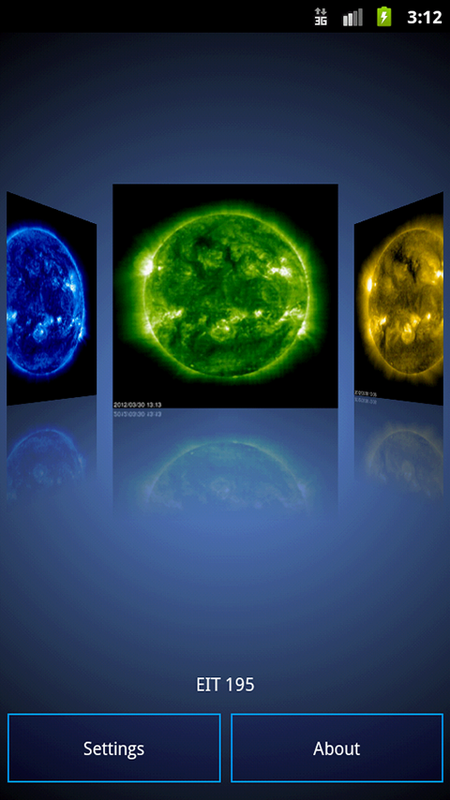 Solar Max displays near realtime image data from the NASA/ESA Solar and Heliospheric Observatory (SOHO), Solar Dynamics Observatory (SDO), and Solar TErrestrial RElations Observatory (STEREO) spacecrafts downloaded directly to your Android device. 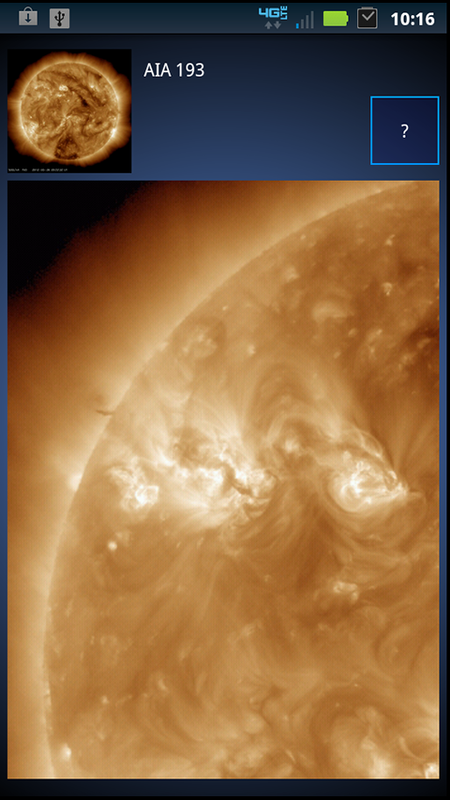 Solar Max feature high resolution images from six from the SOHO satellite's sensors, eleven from SDO, and 2 from STEREO that observe the sun around the clock in various wavelengths. Additionally you can download image data from the past several days to make an animated movie of the sun's rotaion and atomsphere. - All new 2.0 version, redesigned from the ground up. - New 'CoverFlow' user interface. 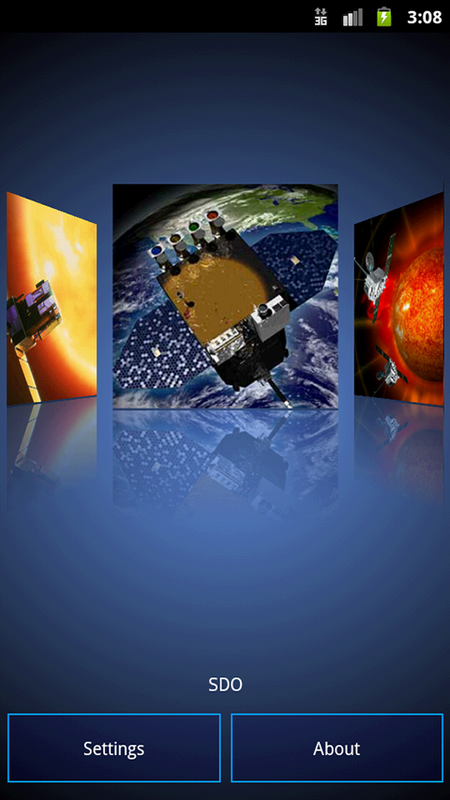 - Features images from 19 solar image sensors on three spacecraft. 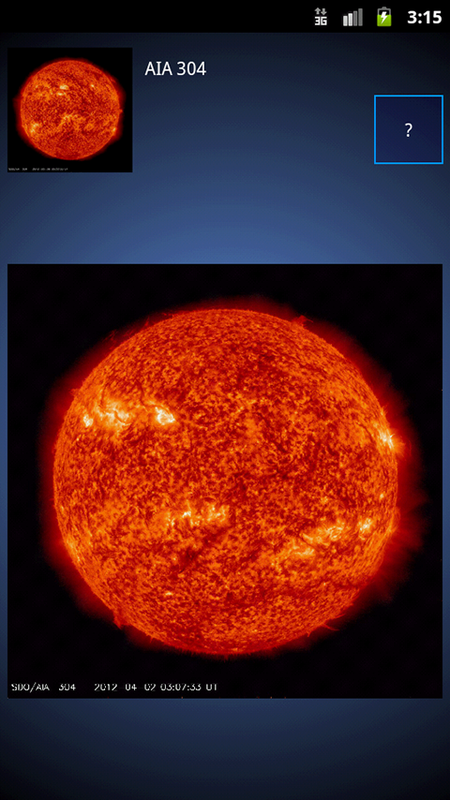 - Pinch and Zoom into high resolution images of the sun. 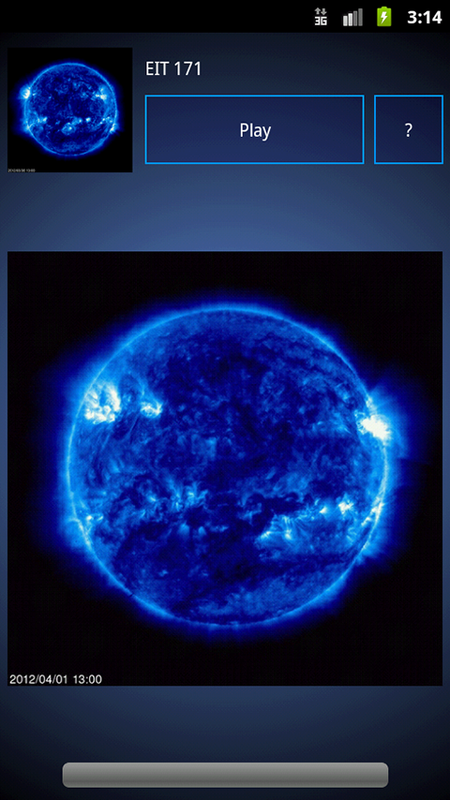 - Download and animate previous images from the satellites to watch the sun in action. Please note that each high resolution image and may take time to download depending on your service provider. 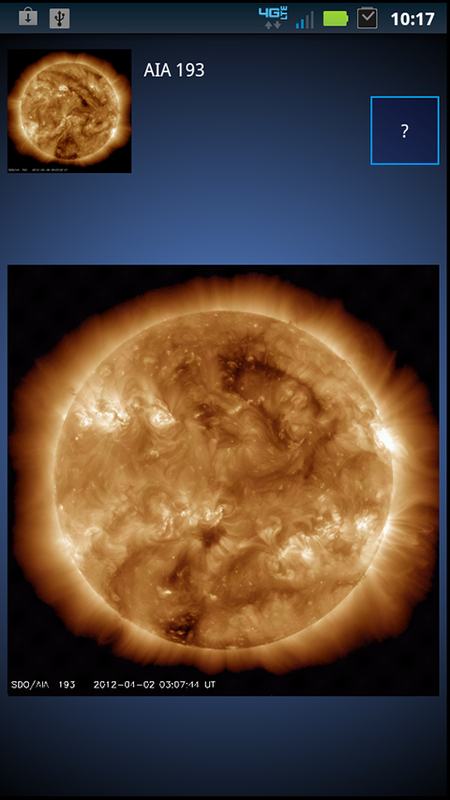 A SDCard and Android permissions are required download and animate previous solar images. © 2012, Ghost Leopard Software and Brandon Bausch. All Rights Reserved.